Keith Spencer is Board Certified by the Texas Board of Legal Specialization in Family Law. That Board Certification mark of excellence and distinguished accomplishment is attained by only one in ten Texas attorneys, and indicates that Keith has substantial, relevant experience and has demonstrated the same in family law cases. Keith was admitted to the Texas Bar in 1987. Mr. Spencer is a graduate of Southern Methodist University and holds Bachelor's and Masters degrees in Communications from the University of North Texas. Keith is a Board Certified Family Law specialist. 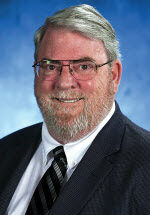 Mr. Spencer has practiced Family Law in Tarrant County for over 30 years. He is a qualified mediator authorized to assist in the resolution of family law matters involving children. The founder of the AV rated Fort Worth firm of Spencer, Greene, Cox & Warren, and Keith joined Bailey & Galyen in 2002. Keith is licensed by the Supreme Court of Texas, as well as the Fifth and Federal Circuit Courts of Appeals and the United States Supreme Court. An experienced trial lawyer, he has tried numerous cases in state and federal state courts and state criminal proceedings. He is also experienced in the prosecution of appeals and the defense of Child Protective Services investigations. Keith is trained in "collaborative law" and is a long standing member of the Tarrant County Bar Association, and serves on the Board of Directors of the Tarrant County Family Bar Association. Keith serves as an Executive Vice President of Bailey & Galyen and is the Managing Attorney of the firm's Family Law Department.